If you look at a cellular coverage map of the United States it resembles a map of the Interstate Highway system. When you look at a map of cellular coverage throughout the world, though, it looks like a map showing large cities, with little in between. While cellular phones do work on a global basis, coverage does not extend into the remote areas frequented by tourism and adventure seekers. 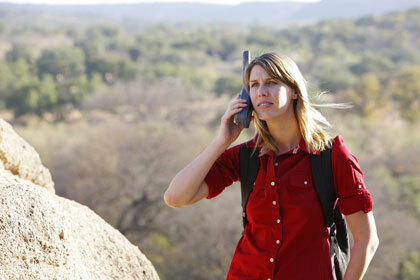 Mobile satellite phones are designed to work where cellular phones do not work. Orbiting satellites replace terrestrial infrastructure and small handheld satellite phones work nearly as well as their cellular counterparts. Mobile satellite users are required to be outside and to seek a clear area to see the satellites, but this is a relatively small inconvenience when weighed against the ability to stay in touch with family or the office. If an emergency should arise, being able to summon assistance to remote locations can be lifesaving. The Iridium Satellite System is the most popular system and their polar orbiting satellites provide coverage over the entire Earth. If you are content with voice and text communications the Iridium 9555 will do an excellent job. The new Iridium GO, adds e-mail service and acts as a Wi-Fi Hotspot so you can use your smartphone for your calls, texts and e-mails. 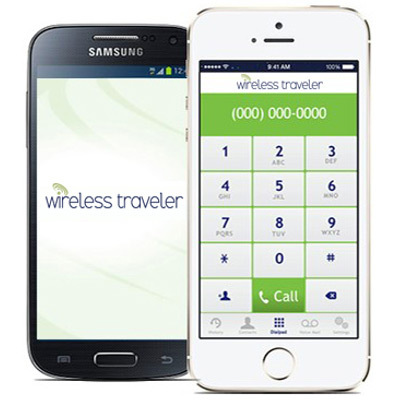 If you require Internet access for your trip, Wireless Traveler has seen great success with the Hughes 9202 BGAN unit that operates on Inmarsat’s large geostationary satellite network. The units provide voice, text and full Internet connectivity from a terminal about two-thirds the size of a laptop. Unfortunately, BGAN units do not work in polar regions. If you have plans to travel to a remote location, we would be happy to answer any questions you might have about satellite phones and the best solution for you – taking into account where you are traveling and what type of communications you need to have.